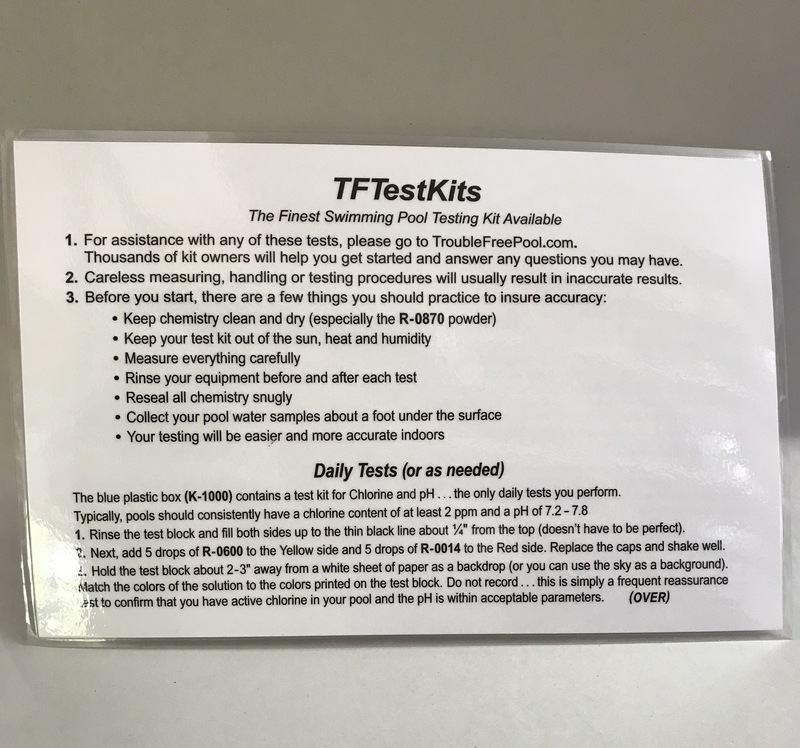 This card contains the entire instructions for each test in the TF-100 test kit. 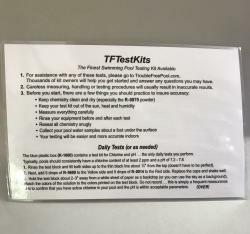 Laminated on Heavy card stock, it is waterproof and very convenient and easy to read as you go through the tests in your kit. If you have an older TF-100, the instructions are glued on the inside of the lid and are in pretty small print. They may also have gotten smudged over time and this is an excellent replacement. DO NOT order this if you are oredering the TF-100......it is included as standard equipment in the TF-100.